A new year—out with the old, in with the new! Time to use up some of my craft supplies or get rid of them. Seven or so years ago, I was really into jewelry making. When I moved to Texas, I brought all my supplies with me but never got the chance to put them to use. 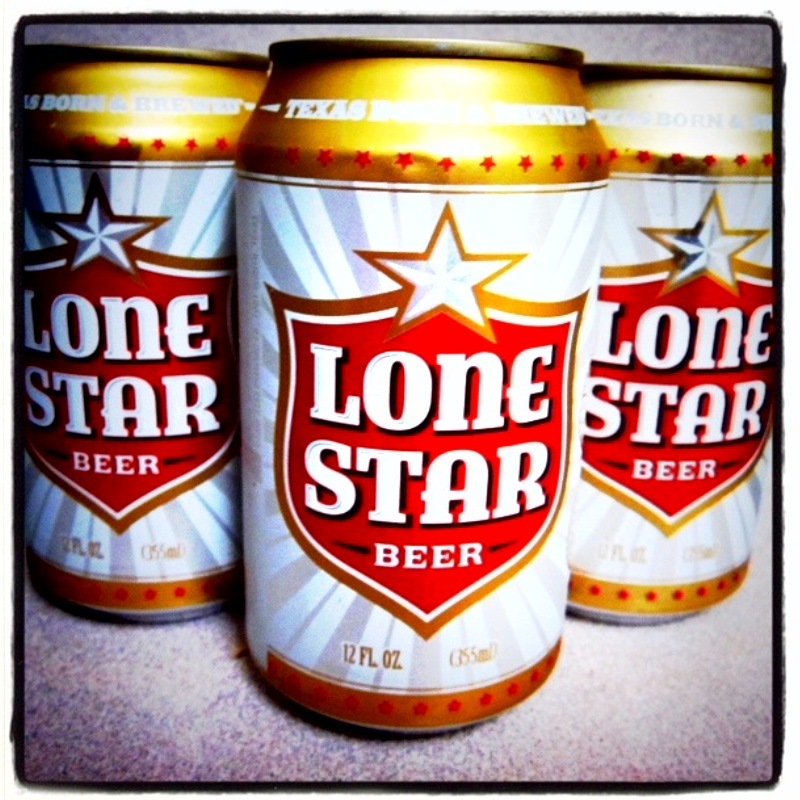 After Princemas, however, I had quite the crafting challenge: what can I do with a skunked case of Lone Star Beer? 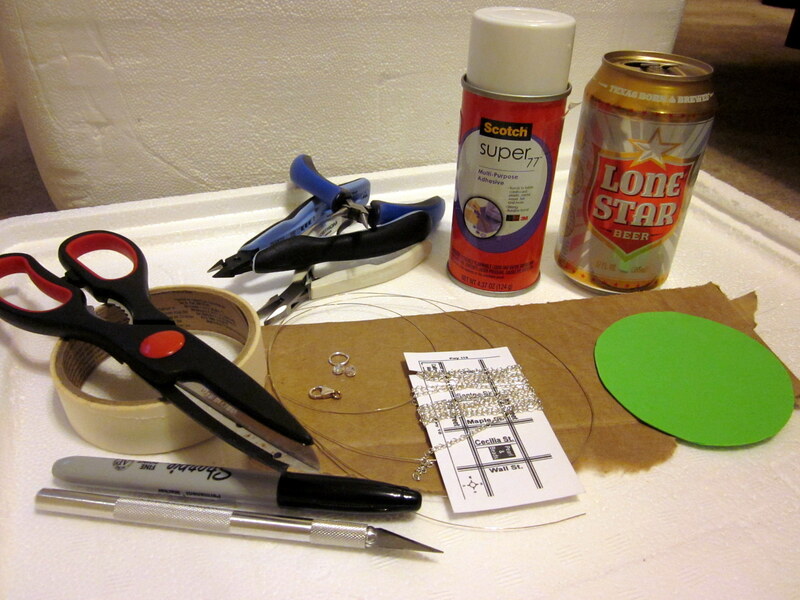 Jewelry making supplies + beer cans = upcycled jewelry! Rinse out and dry a beer/soda can. Cut off the top using a craft knife or scissors. Cut along the seam and the bottom so you have one sheet of aluminum. Tape the sheet to your work surface. Using the Sharpie, draw freehand or trace shapes to cut out (I used a pepper shaker for circles). Carefully cut out the shapes with scissors. Spray glue the aluminum shape to a piece of foam (excess glue on the aluminum can be removed with a Q-tip and rubbing alcohol). 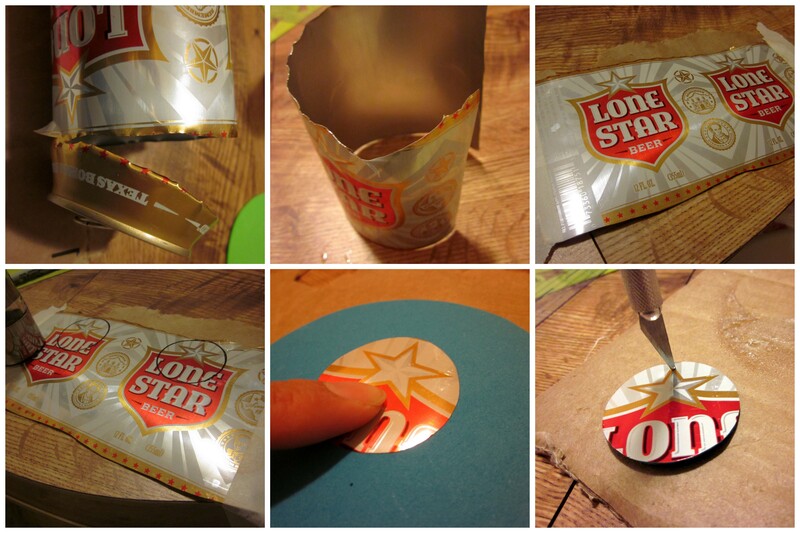 Cut out the foam and pierce a hole at the top. Slide a jump ring through the hole and close the ring. For the necklace, I used an 18 inch piece of chain, beads, and a lobster clasp to make a 20 inch necklace. I like to add beads to the back of the necklace to make things pretty all around, but you can just use jump rings and the clasp to connect the ends. To add the beads, bend a piece of jewelry wire at a 90º angle using the round nose pliers. 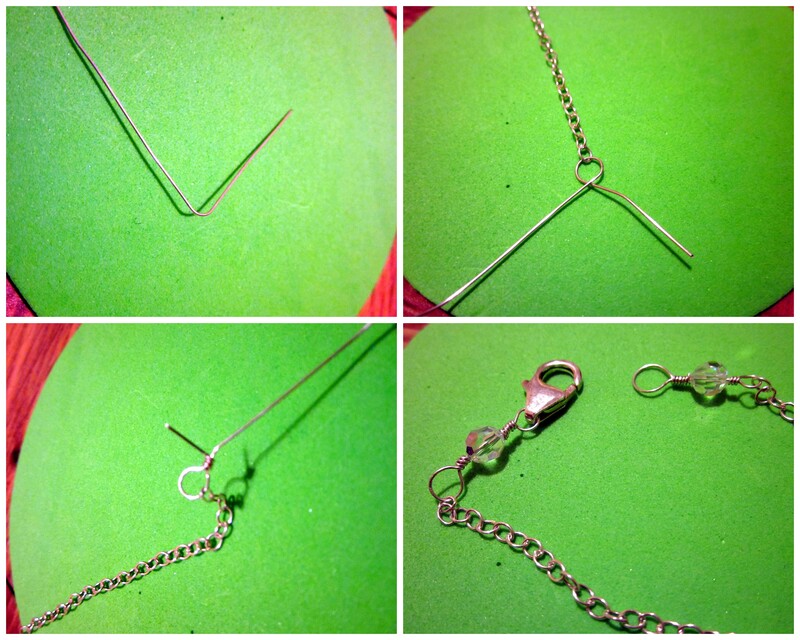 Wrap the wire in the opposite direction around the nose tip once, then slip in the chain. Hold the loop using flat nose pliers and wrap the wire around itself two or three times as tightly as you can (I’m a bit out of practice so my wrapping turned out kinda messy). Trim the excess wire using the wire cutters. Add a bead and repeat the loop steps for the other ends. 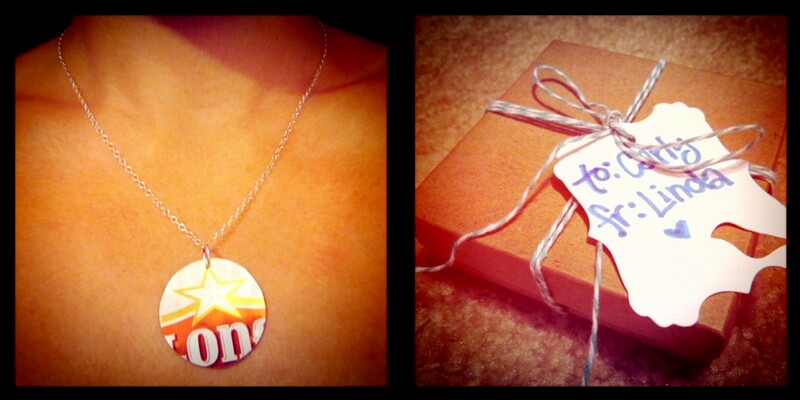 Slip in the Lone Star pendant and you’re done! This turned out pretty well and I loved that I only used materials I had on hand. I also found an extra jewelry box and made a tag using my Cricut Elegant Edges cartridge to wrap up the present. I hope she likes it. This entry was posted in Birthdays, Crafts, Gifts, Jewelry and tagged Beer can jewelry. Bookmark the permalink.